Motivation, Knowledge, and the Possibility of a Non-Romantic Environmental Ethics. [more…] NOW AVAILABLE AS PAPERBACK! Abstract. Today it is widely recognized that we face urgent and serious environmental problems and we know much about them, yet we do very little. What explains this lack of motivation and change? Why is it so hard to change our lives? This book addresses this question by means of a philosophical inquiry into the conditions of possibility for environmental change. 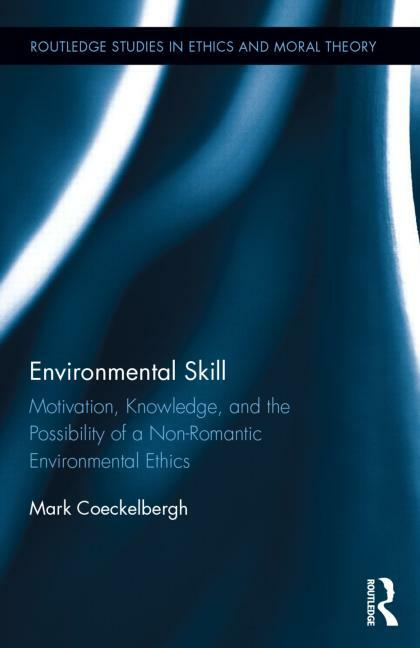 It discusses how we can become more motivated to do environmental good and what kind of knowledge we need for this, and explores the relations between motivation, knowledge, and modernity. After reviewing a broad range of possible philosophical and psychological responses to environmental apathy and inertia, the author argues for moving away from a modern focus on either detached reason and control (Stoicism and Enlightenment reason) or the natural, the sentiments, and the authentic (Romanticism), both of which make possible disengaging and alienating modes of relating to our environment. Instead he develops the notion of environmental skill: a concept that bridges the gap between knowledge and action, re-interprets environmental virtue, and suggests an environmental ethics centered on experience, know-how and skillful engagement with our environment. The author then explores the implications of this ethics for our lives: it changes the way we think about , and deal with, health, food, animals, energy, climate change, politics, and technology.